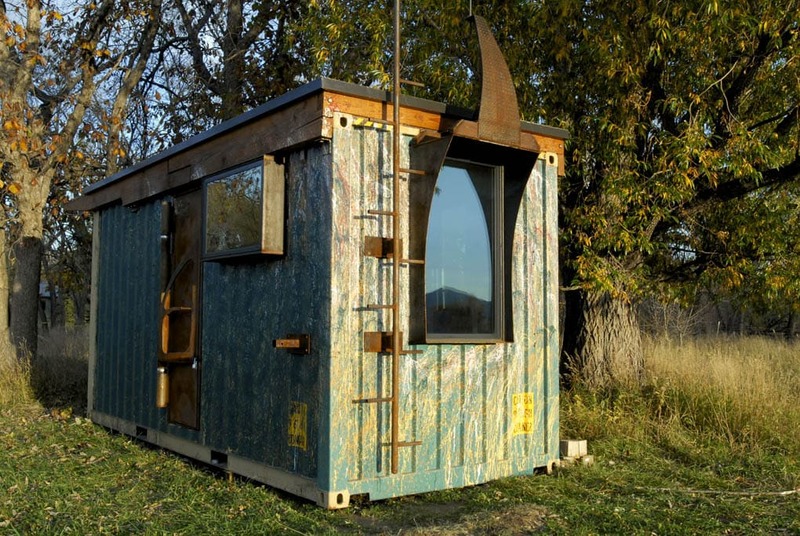 Colorado-based Rhino Cubed takes a different approach to the tiny home movement. 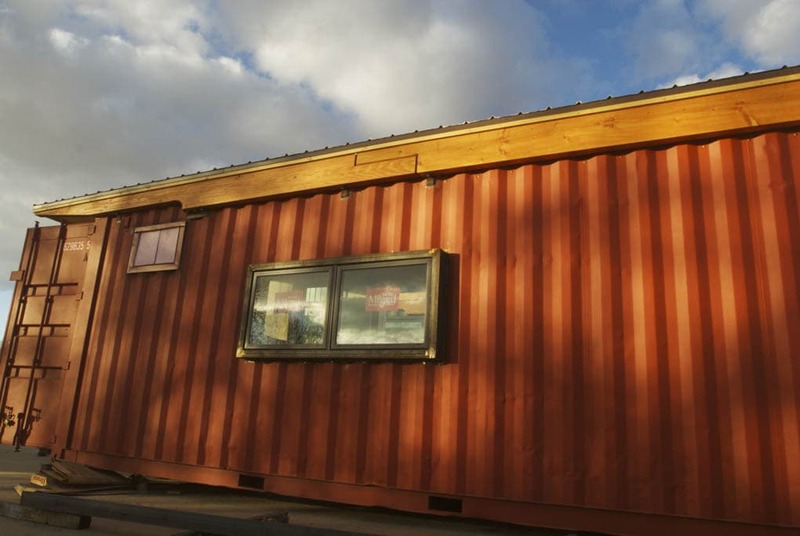 The company builds artistic homes using upcycled steel shipping containers from Corten. Rhino has been featured on The Denver Post, Outside, Boulder Weekly, ABC Denver and other prominent news outlets. Rhino Cubed was founded by Jan Burton and Sam Austin. Austin holds a Master’s Degree in Architecture. Jan is a former high-tech industry executive. What Makes Rhino Cubed Different? 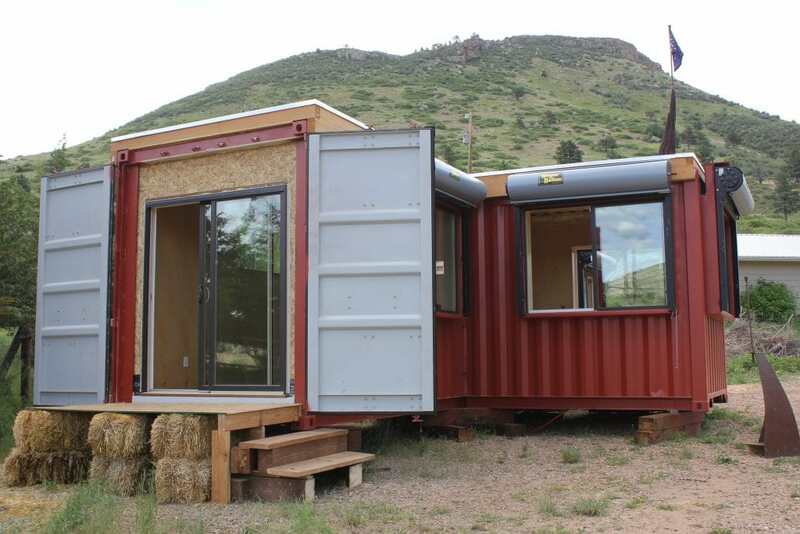 The fact that Rhino Cubed specializes in Colorado shipping container homes already sets them apart from the competition. 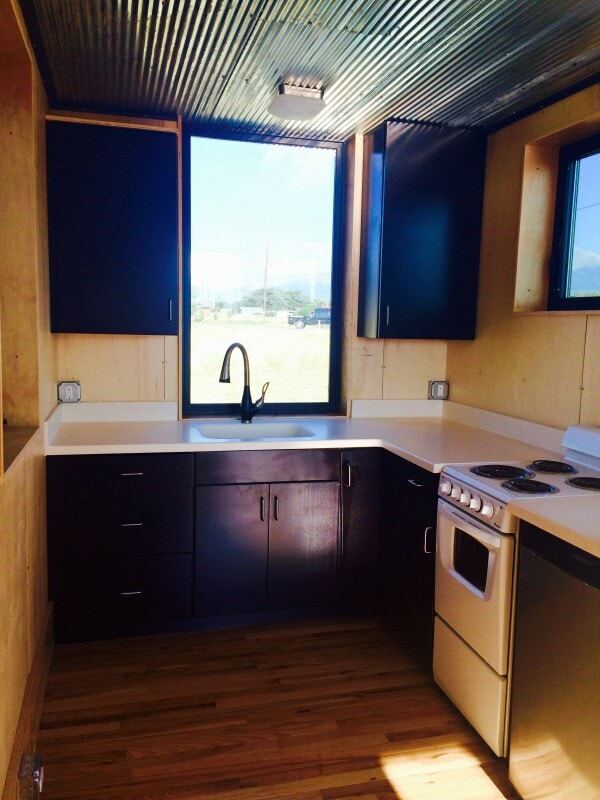 But there are other things about this tiny home builder that makes unique. Built to last: Rhino homes are structurally sound so that homes last for generations. Quality: All cubes are built to high standards, offering the thorough details of a custom home. Rhino uses Corten steel, which is lead-free and more durable than mild steel. Resistance: Rhino Cubed homes are pest-proof, water-proof, weather-proof and fire-resistant. 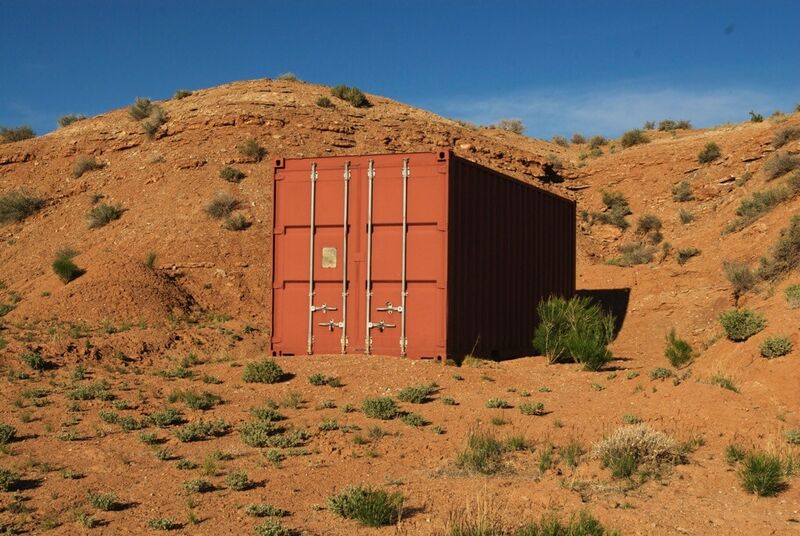 Security: Rhino calls their homes the “Fort Knox of tiny homes.” Their shipping container homes are impossible to steal and difficult to break into. 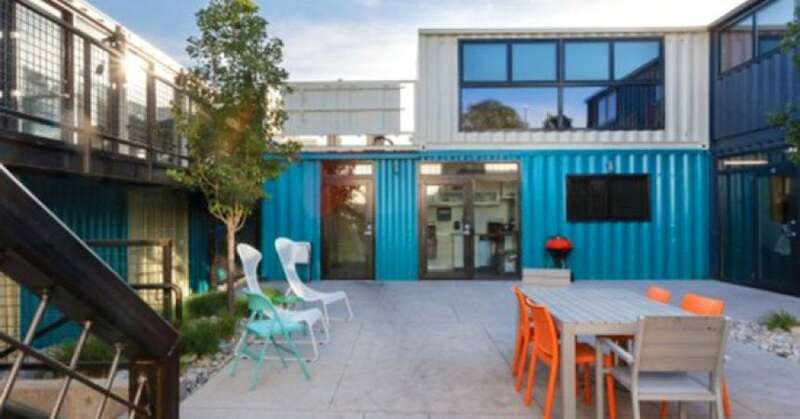 Sustainable: All cubes are derived from upcycled shipping containers, reducing your impact on the environment. Transportable: Rhino homes can easily be moved, so they can adapt to your lifestyle and needs. Artistic: Rhino Cubed takes an artistic approach to their homes, offering something unique to buyers. The company uses the same precision and attention to detail that would be used when building a custom home. Rhino Cubed makes the buying process as simple as possible, so all you have to worry about is enjoying your new home. It all starts with you and your needs. 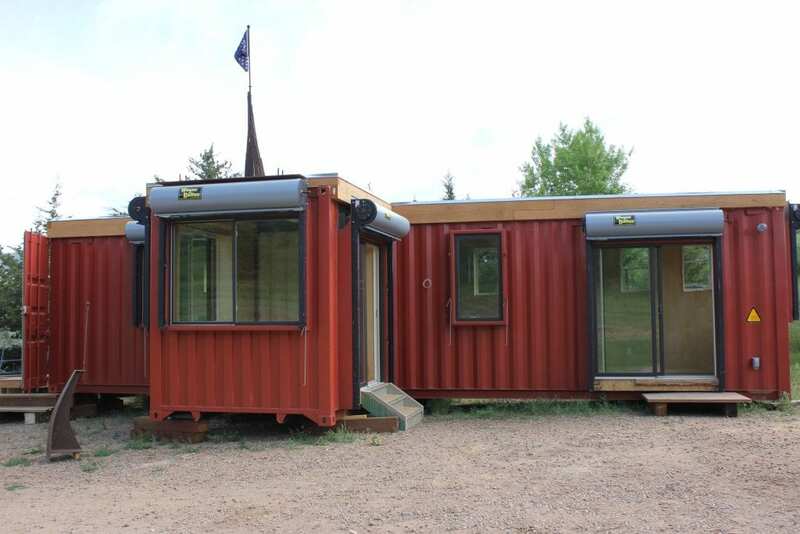 Are you looking for a home that’s on-grid, or off-grid? What do you want in your Cube? 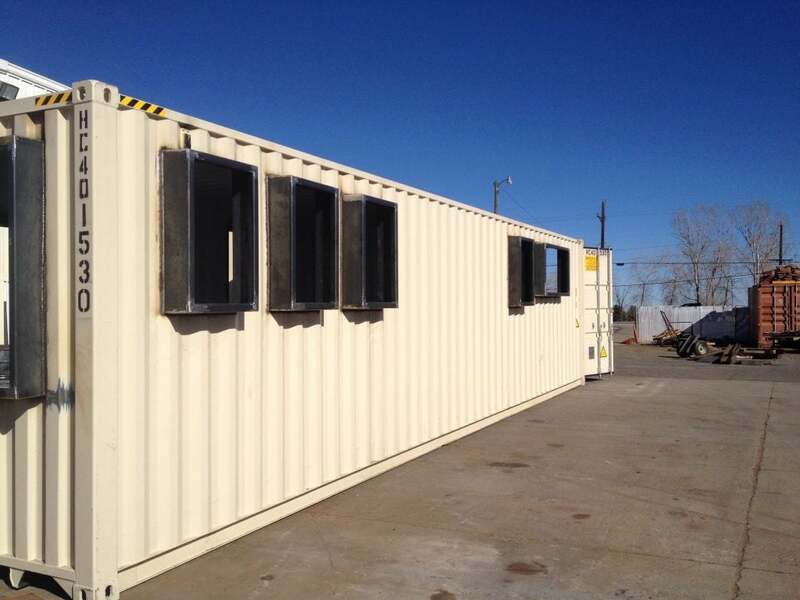 The first stage of the process will also include the research of county and city permit requirements as well as securing the land you will need for your Cube. In the next stage, Rhino Cubed’s architect will guide you through the process of deciding on the design and construction of your Cube. You can choose to have this discussion over the phone or in person at the company’s office in Boulder, Colorado. The company will also provide a complete pricing proposal as well as an estimated shipping date. In the final design approval phase, you will review the pricing proposal and sign a contract with Rhino Cubed. A $500 down payment (the first payment) will need to be paid in this phase. The final design plan with your choices for appliances and other details will be submitted. You’ll approve the final design plan and even name your Cube. 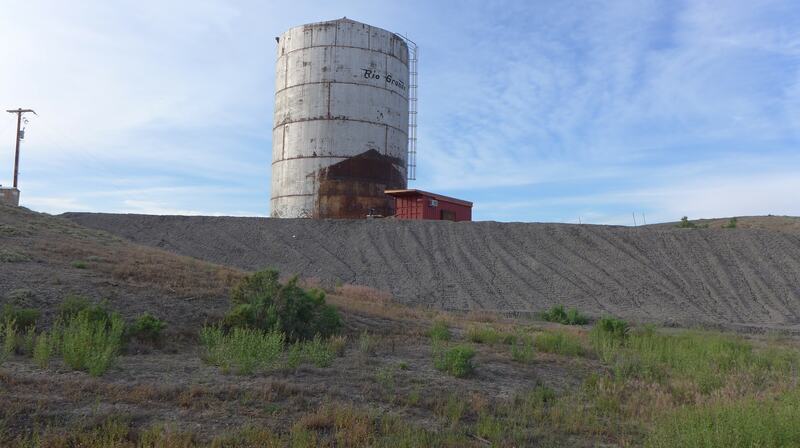 You’ll also be responsible for working with the county or city to secure all of the necessary permits. Rhino Cubed can help with this process, but they do require a reasonable hourly fee. Once all of the paperwork and red tape is dealt with, you can finally get on to building your Cube home. Once the building phase begins, you will need to pay 50% of the total price of the Cube. Your home will be built on-site in Louisville, Colorado as per the 2012 International Residential Code. Building takes about six weeks. Two weeks prior to completing the home, you will be informed of the shipping date and time. Once your home is built, it will be prepared for shipping. A third payment of 40% of the total price will be due before shipping. 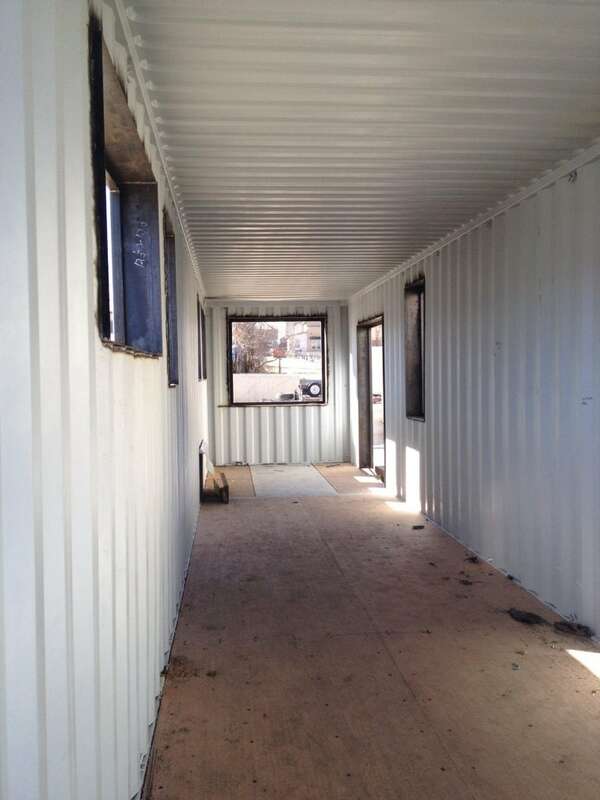 Shipping containers come with plywood flooring already installed. That flooring is coated in a sealant, and a 3-1/2″ layer of foam installation is added. Another 3/4″ plywood is added, and finally a 3/4″ layer of hardwood flooring is added on top of that. The floor layering process completely eradicates any potential insecticides or preservatives that may have been used in the original flooring. 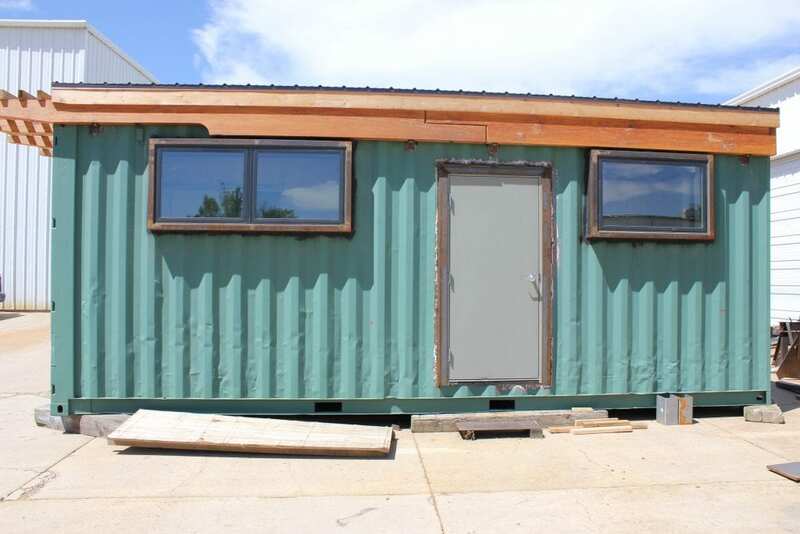 Rhino Cubed homes have a 2X4 frame that provides plenty of space for closed cell foam insulation. Plasma cutters and other advanced equipment are used to cut openings for windows and doors. 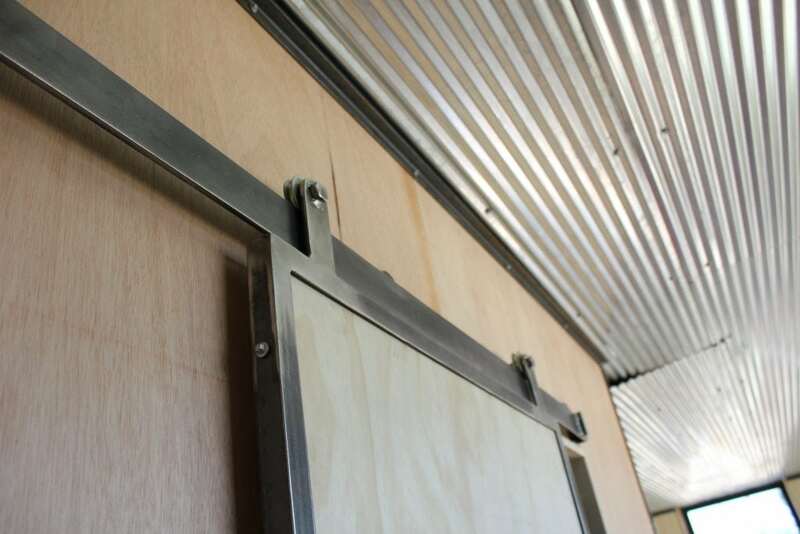 The company uses deep steel window bucks to prevent heat loss. This provides greater structural integrity while creating a more artistic look. Closed cell foam insulation allows Rhino Cubes to have ratings of R22 on walls, R30 on the flooring and R54 on the ceiling. A vapor barrier is added directly to the inside of the container’s metal skin. 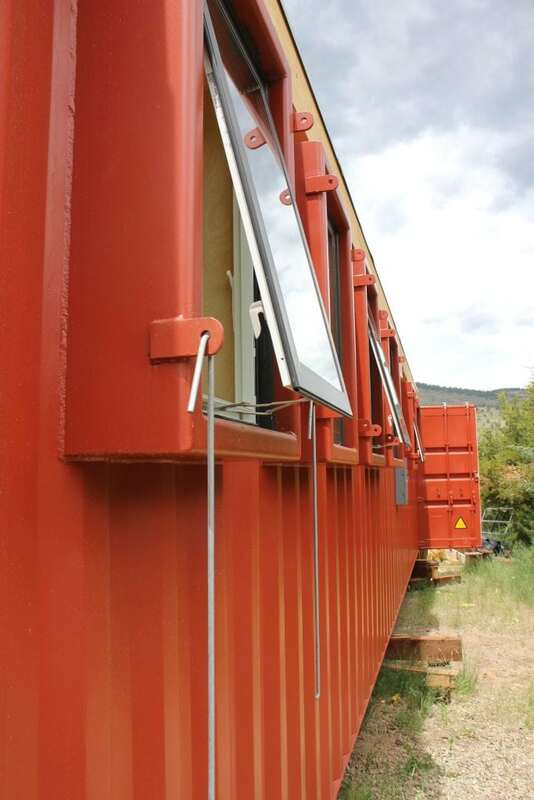 Each container home repels wind, water, insects, rodents and fire. A corrugated metal roof is installed onto the Cube, but before it’s added, the company fills the 7″ cavity with closed cell foam. All Cube homes come with a timber frame support structure that adds an artistic look to the home, and it creates a base for the exterior insulation and the trellis. Want to get your hands on a Rhino Cube home? The company has ready-made homes for sale that you can view online. You can also contact them to start building your own personalized Cube. Rhino Cubed is transparent about their home prices, too. Here’s an example list of how much you can expect to spend on their tiny homes. For more information visit RhinoCubed.com.